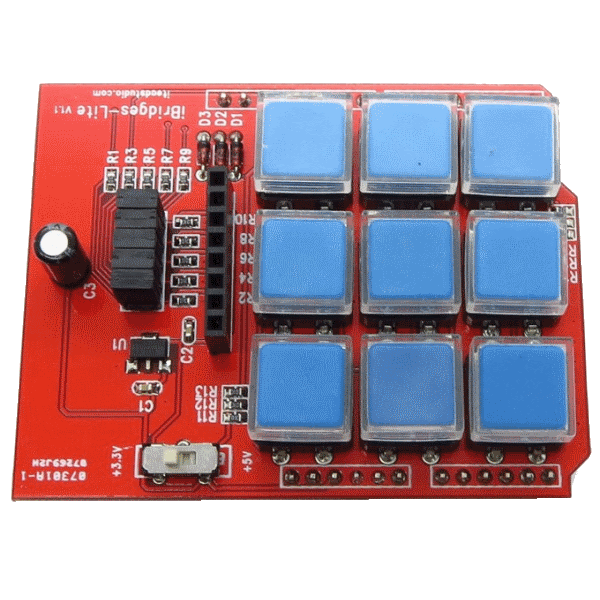 The IBridge-Lite is a 3x3 keypad shield featuring a 5110 Graphic LCD display interface. 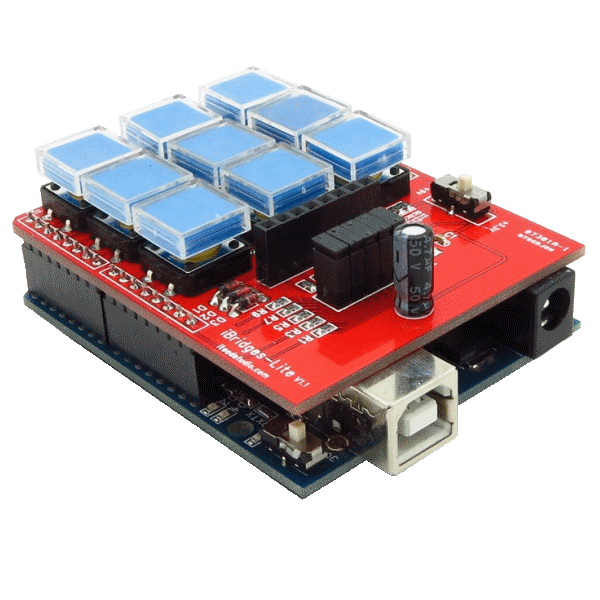 Plug the IBridge-Lite directly onto any Arduino or compatible board to provide a simple UI. 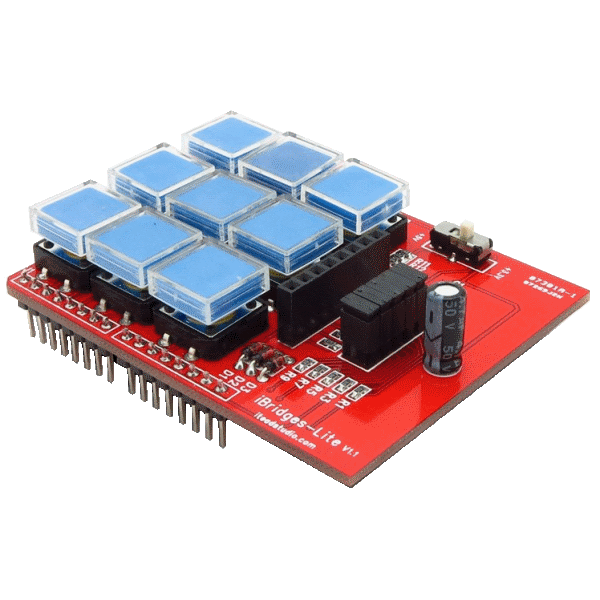 Note that the 5110 LCD Module is sold seperately.